Notepads are a great way to promote your business, from our premises in Bury St Edmunds, Suffolk we print and deliver notepads to businesses and consumers throughout the UK. We supply quality notepads at the best possible prices, send your notepads to your clients and potential customers, your promotional notepads will keep your name in your customers minds everyday as they use them to jot down notes, no other form of promotional item can offer such great value, your notepads will keep on working day after day. Our digital printing service, allows us to provide full colour personalised notepads at affordable prices. You can supply your own artwork for your notepads or we can design the notepads for you, all you have to do is supply your logo and leave the rest to us. 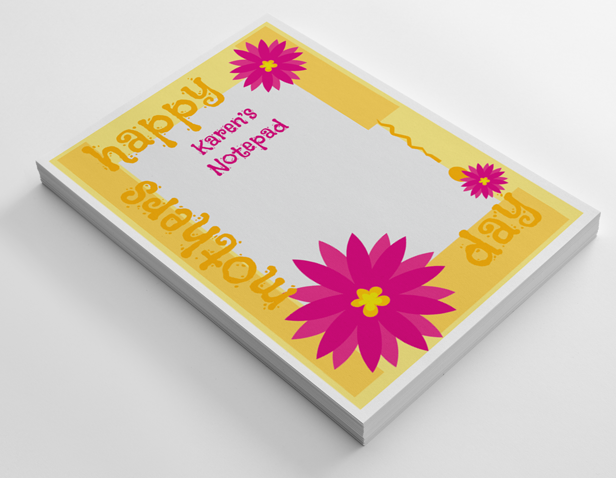 Notepads can come in various sizes, they can be A7, A6, A5, A4, A3 sizes. Our A3 notepads are an excellent size and they are the size of a deskpad. All our notepads come with 50 sheets per pad (if you require less sheets thats fine), they come glued at the head with grey backing board. 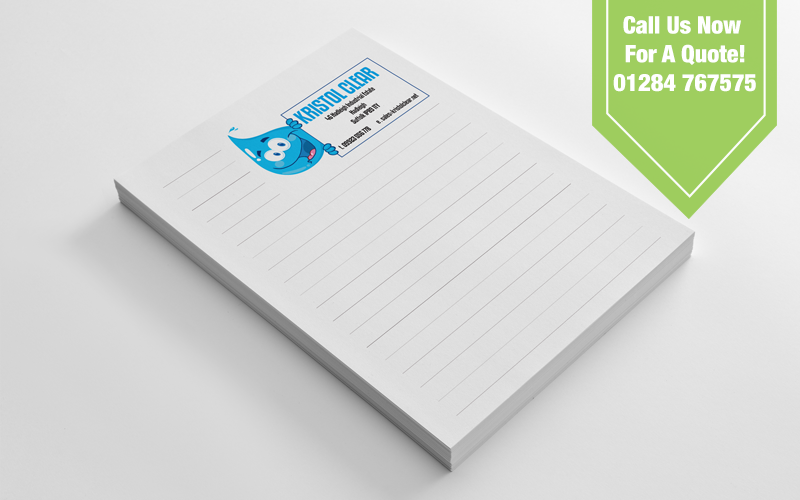 All notepads can be printed in full colour or black and white. You can supply your own notepad artwork or we can create the artwork for your very own personalised notepads. Our design service costs less than you think, go on give us a call on 01284 767575 for a price to design your promotional notepads. Personalised Notepads make for a unique gift, you can customise notepad with persons name and it will make for a special present, everytime they use their personalised notepad they will think of you, we can create a personal notepad and you can use them as a gift all year round. Notepads are versatile can be used for business or personal use.